Indie Retro News: Dungeon Kingdom : Sign of the Moon - Retro inspired dungeon crawler gets a trailer! Dungeon Kingdom : Sign of the Moon - Retro inspired dungeon crawler gets a trailer! Gather your party, pick up your weapons and venture into the depths of the Dungeon Kingdom, as the developers Hydro Games have just released a brand new Indiegogo campaign trailer for their retro inspired Dungeon Crawler, which showcases some of the features and Environments in Dungeon Kingdom : Sign of the Moon. Featuring modern graphics with a powerful dynamic lighting and shadows system, achievements, a deep story, indoor and outdoor environments and an interesting physics engine. This is one game that not just Eye of the beholder fans need to pledge for but everyone else that likes games of this genre! Dungeon Kingdom's world is made of continuous levels, there's no fading or loading between levels, except for major environment changes. Cross-platforms game save sharing : start on one device, resume on another one ! Start on PC or Mac, continue on your iPad or Android smartphone. Advanced and optimized Graphics on any platform. 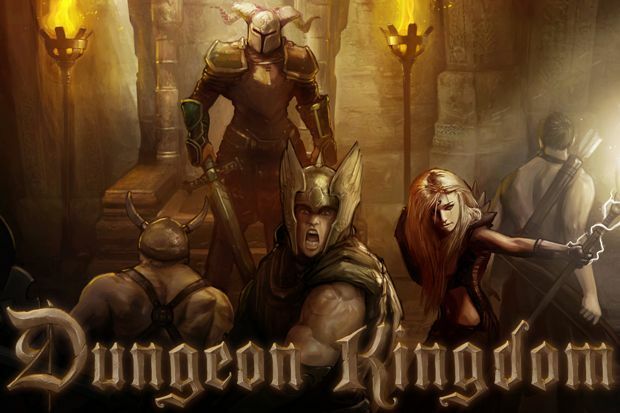 Dungeon Kingdom use real Physics engine powered by PhysX, opening new opportunities of puzzles. Unlike many Crawlers, Dungeon Kingdom has advanced AI and navigation systems. Modern features such as achievements. Different play modes are available to fit best any player experience of Dungeon Crawler style games. Strong story design, created with a sequel in mind.